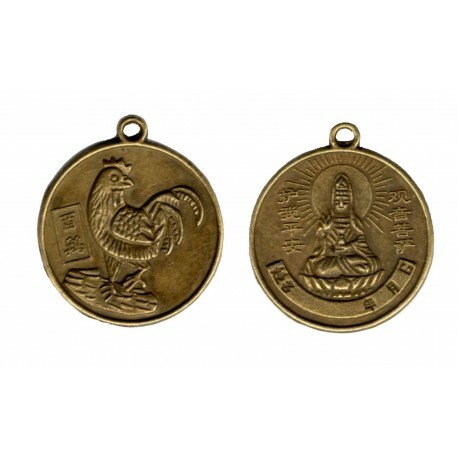 A metal charm / pendant representing the Rooster for those born in the Year of the Rooster. One side with the Rooster and the other side with the Goddess of Mercy. Years 1933, 1945, 1957, 1969, 1981, 1993, 2005.